How Will We View 4K and Ultra HD? You are here: GeekSays Technology News » General » How Will We View 4K and Ultra HD? With the launch of 4K TVs and Ultra HD video, one would assume that it’s time for Blu-ray to evolve, and there are a number of possibilities for doing so. 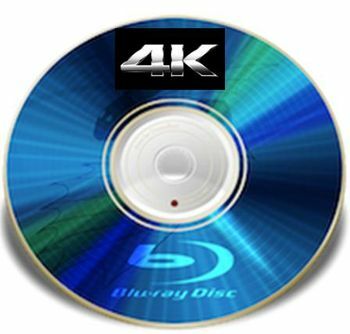 The Blu-Ray Disc Association confirmed back in January that 4K could be implemented by the end of 2014, yet they’ve remained fairly quiet since then. Disc manufacturer Singulus claim that they’re currently working on 4K Blu-ray discs (with three layers of 100gb storage), but sceptics say even this might not be enough capacity. The current quadruple layer XL Blu-rays reach 128gb, and movies themselves rarely go over 30gb. Uncompressed 4K video on the other hand, is huge. For example a 4K trailer for The Amazing Spiderman took up 500GB of hard drive space. A 50 minute TimeScapes video compressed with x264 still came out at 160gb. A full movie then is at least over 300gb. It was also announced in March that Sony and Panasonic are developing a new type of disc that could store up to 1tb of data, with 300gb and 500gb versions hitting the market first. While this sounds more reasonable, these new discs are labelled “Archival Discs” and there is no mention of 4K compatibility. It’s no secret that people are slowly but surely turning to streaming and on-demand services like Netflix over traditional TV and DVD options. Whether it’s through smart TV apps, dedicated streaming players like Roku, games consoles, or using PCs and laptops – it’s just easier. Why would anybody venture out of their home to buy a physical disc, when they could relax in their living room and press a few buttons to view the same content? In terms of Ultra HD, Netflix have already launched a 4K streaming service, and Sony are set to ship a 4K streaming box by July, which includes Netflix and a range of their own films and TV shows. Of course the amount of actual content available does not yet compare to current-gen options. All this being said there is still a debate to be had about whether Ultra HD is worthwhile for the average consumer. The 4K TVs already on the market provide a resolution of 4 times what you get with current generation HD. This sounds impressive, but as with mega-pixels and cameras, it may be misleading. Unless you have a cinema screen in your house, you won’t necessarily notice the difference unless you go right up to the screen and see that it remains sharper than 1080p. If you plan on sitting several feet away on the sofa, the difference will be negligible. Because there are currently no discs or Ultra HD Blu-ray players on the market, for the time being you will have to rely on your internet connection to either download the content, or stream it. For a lot of people streaming regular HD can be a problem, 4K is a pipe dream. Though Youtube are on the verge of supporting 4K with their VP9 video codec (which is twice as efficient as H.264 (used by Netflix), most people are still going to struggle. So while the disc may be a dying format in the current generation, unless internet speeds catch up with 4K – there may be an impetus for the disc after all. Either fibre broadband has to become standard, or disc and Blu-ray player manufacturers need to get the ball rolling. Until then 4K just isn’t happening.